Congrats to all of our participants for a fun and eventful weekend! 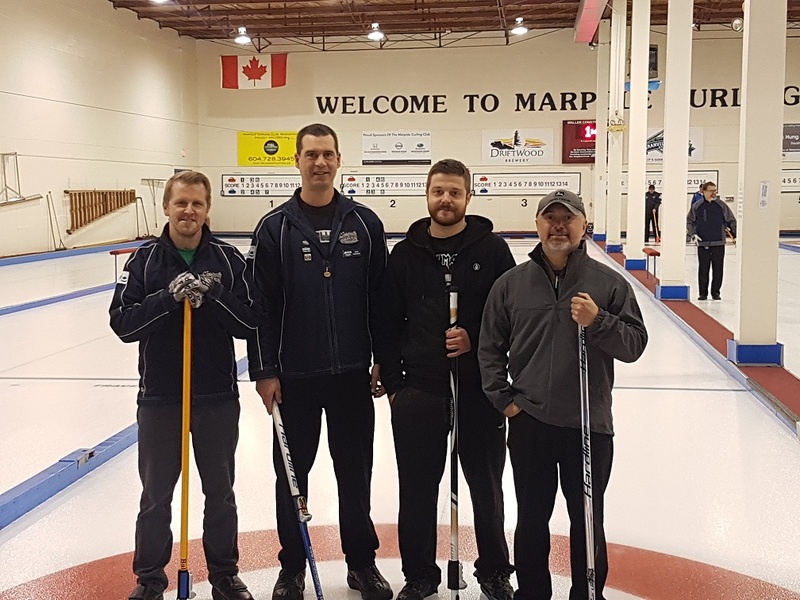 The 44 pounders wound up claiming the C event against the visiting Jackson team – well done skip Collin (far left), Reuben (far right), Mike (2nd from left) and Erik (2nd from right)! 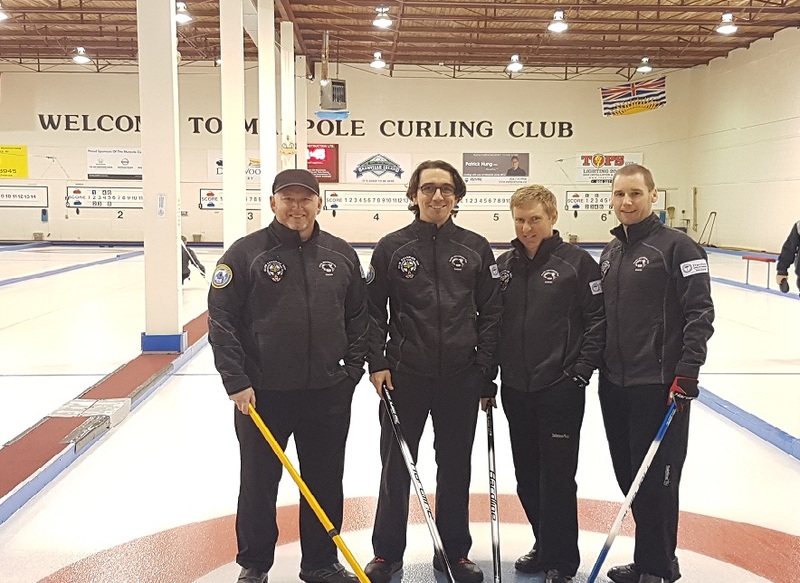 The winners of the A event was the Forrest rink from Richmond vs Chan from Marpole. The winners of the B event was the Greig rink from VCC vs Blachford from Tunnel Town. 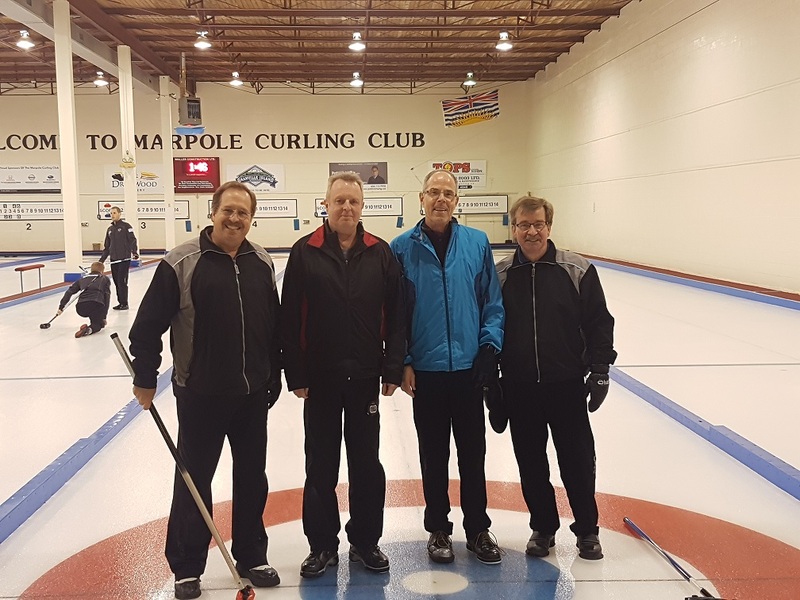 Above pictured is the Grieg team, Sandy Grieg – skip far right, and in no particular order Dave Amy, Randy Chambers and Murray.